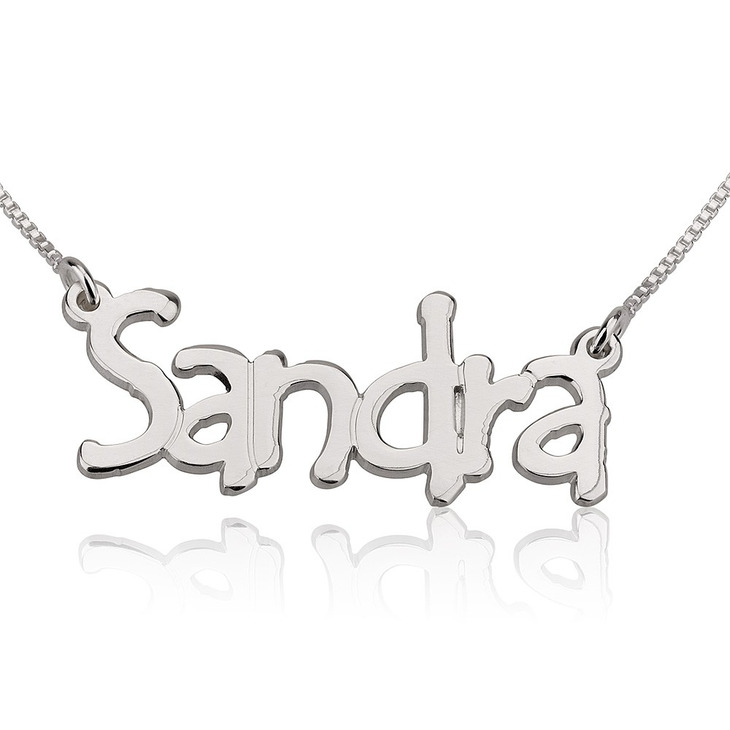 Enjoy seeing your name on this lovely Solid Sterling Silver necklace, which comes with regular thickness Fine Rolo chain or Box chain featuring a clean, simple tree style font. Crafted to meet the highest benchmarks of workmanships and beauty, this exquisite nameplate necklace will definitely standout wherever you wear it. 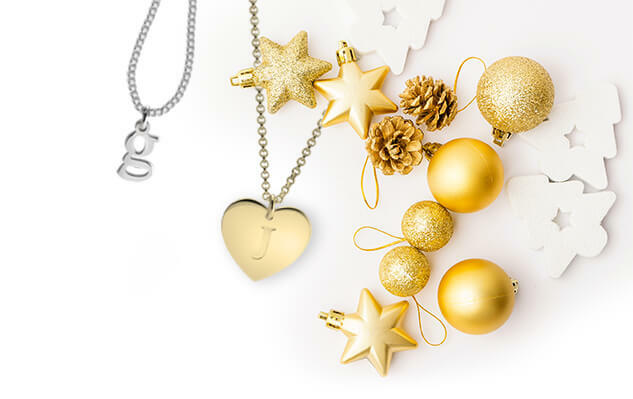 Choose from any desired name for this personalised necklace, either for yourself or as a lovely gift for someone special. 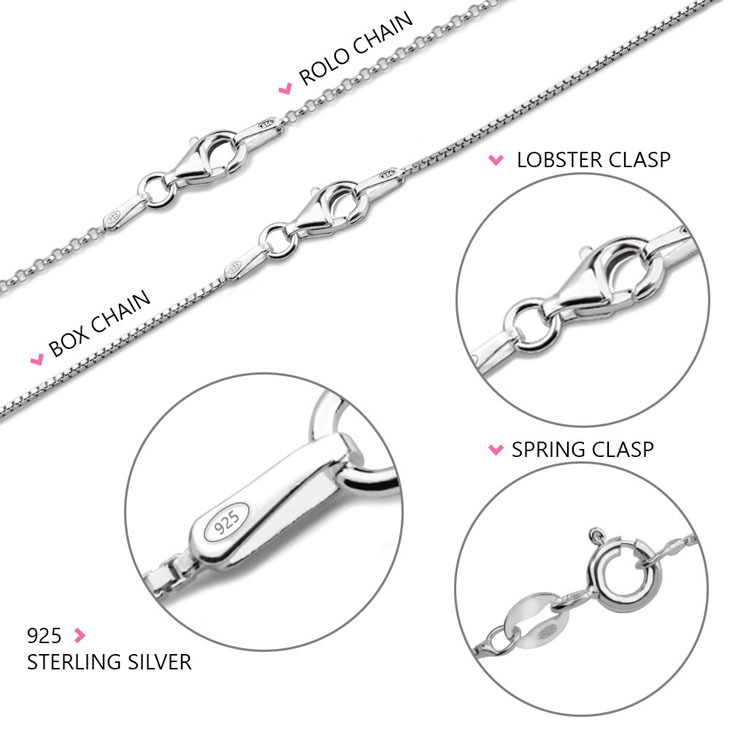 We offer one capital letter for a pendent with five different unique chain lengths for women of all ages. 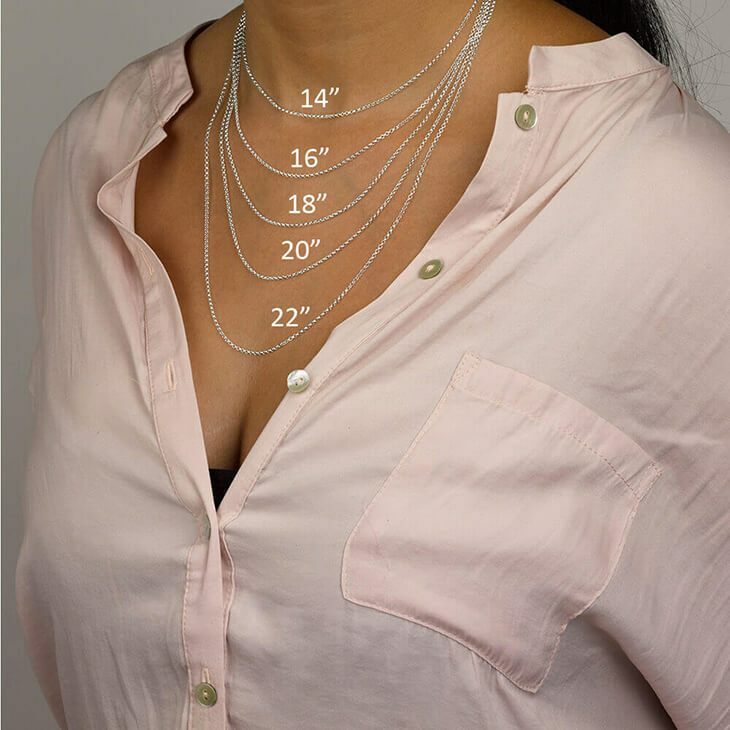 Customizing the thickness of the chain is at your choice and we guarantee that your loved ones will adore and appreciate this truly unique, dazzling custom piece of jewellery. 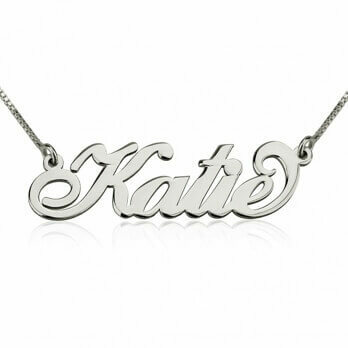 Wear this piece of personalised silver jewellery at any occasion to spice up your wardrobe! I purchased a name necklace for my 8 year old niece. I was very impressed with the quality and appreciate that they offer a child size chain. It was perfect for her. 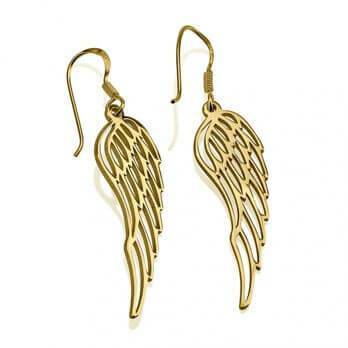 I am going to buy another for my daughter and one for myself. 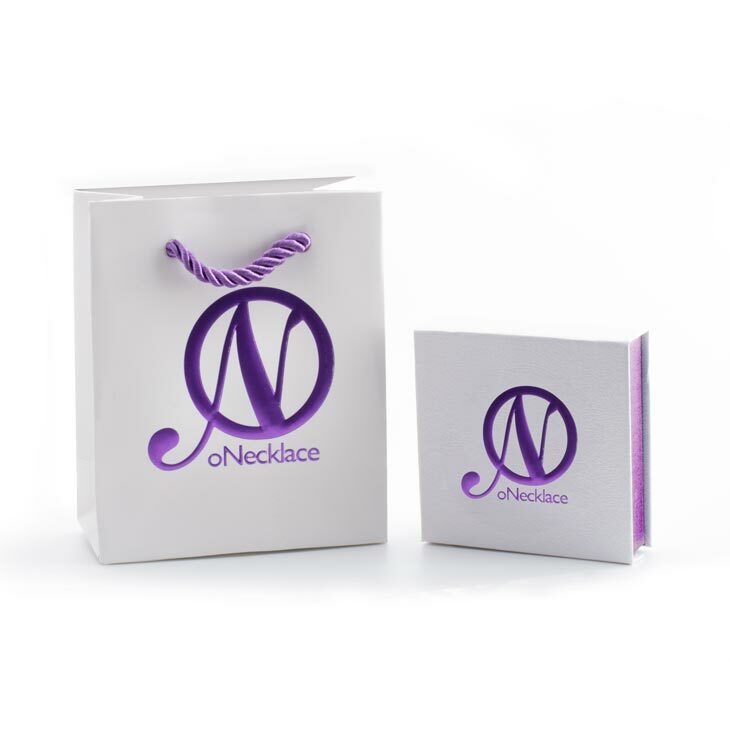 I would definitely recommend Onecklace. It is exactly what I wanted. If anything ever happens to this one, I will be ordering another one. Ordering was so easy and the product is GORGEOUS! Very sturdy and well made. Very pleased. Highly recommended! I spent the extra money to speed up shipping because it was a Christmas gift and it arrived just as promised.